Our friends Jennifer and Jared had a baby shower last week and I made a few things for them. Their nursery has a monkey theme; I got this cute monkey knit from The Fabric Fairy. It's a good, thick, cushy rib knit. 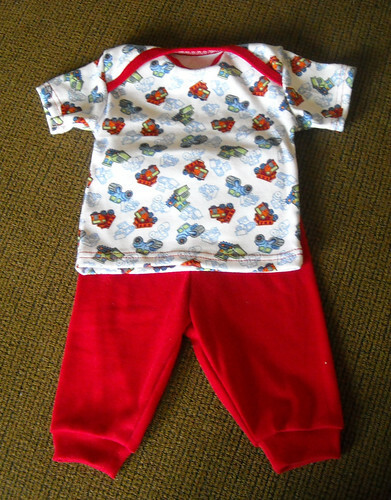 The pants and hat are made from the NCBE pattern; shirt is Ottobre, from 5/2006. From Ottobre 3/2004. 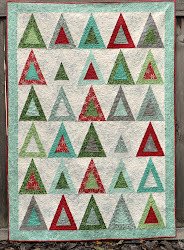 I kind of like the green thread on this; mismatched but cute. I am working on more nine-patches today, and thinking about finishing up another big quilt. I love babies and the knit outfits are perfect for a gift. Nice job! These are adorable! I'm sure they were very well received...so much more personality than store bought! Wow, they are all very cute!! Oh my gosh. So so so cute. 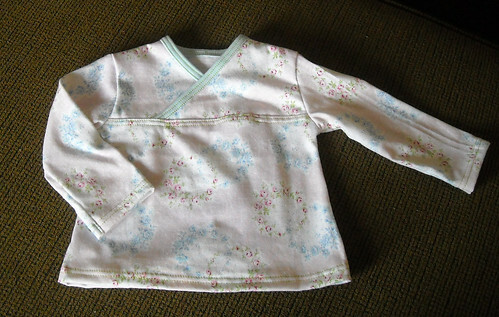 I have a grandbaby to start sewing for. I might have to dig out my serger. ACK! All of those outfits are just adorable!! 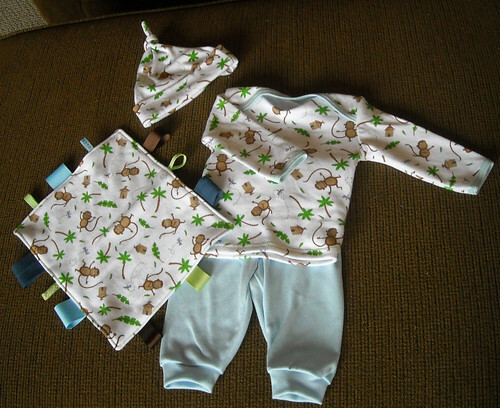 Now those are cute baby clothes and that monkey you made is great. I also like your turtle quilt. You have a professional touch with the playfulness that keeps it warm and homey.